At Sporting Club Village & Camping in Mazara del Vallo (Trapani) camping costs as little as €18,- per night during low season with CampingCard ACSI. At one of the 300 touring pitches you will get a discounted rate during the period 01-04-2019 - 14-07-2019 and 31-08-2019 - 01-10-2019. At this campsite you can not only use your CampingCard ACSI for inexpensive camping, you can also use your ACSI Club ID (as an alternative ID). Large campsite with lots of facilities and entertainment programme. Ideal for families with children and singles. Also for those who enjoy nature, sports, good food and everything else this region offers. A meeting place for different nationalities and cultures. This is our 4th visit to this site, last year experienced loud music at night with 4 puppies running around loose. Staff unable to control these animals. Last visit 27/28th September 2016 was so far the worst. Rubbish bins around the site were not emptied, sanitation block not cleaned, hot shower was only available early mornings as it was set on a timer. We decided to leave after two nights and charged Euros 38 for our short stay. ampsite was deserted and pool closed. Not impressed and a return visit is very UNLIKELY. We do appreciate the site closes on 9th October but it is no excuse for a poor service. This campsite provided the worst holiday ever taken by my family. It is situated on a river estuary that smells, a train line that runs along the back of the site. Music and entertainment is played at unreasonably loud volumes until 4am in addition to a local discotheque blaring out music until these times. To add to the problem, stray dogs roam around the campsite and bark constantly throughout the night! 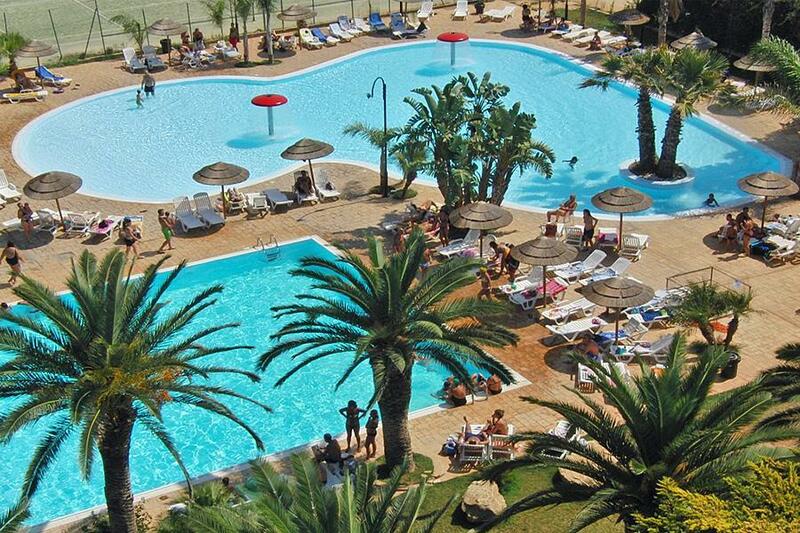 Would you like to book Sporting Club Village & Camping or request more information? You can do both using the information below or by visiting the campsite's website. From Palermo: End of motorway A29, exit Mazara del Vallo. From Marsala: the SS115 becomes the A29 motorway. Take the Mazara exit where the roads change number. Campsite signposted after about 1 km. CampingCard ACSI will send your information request to "Sporting Club Village & Camping".